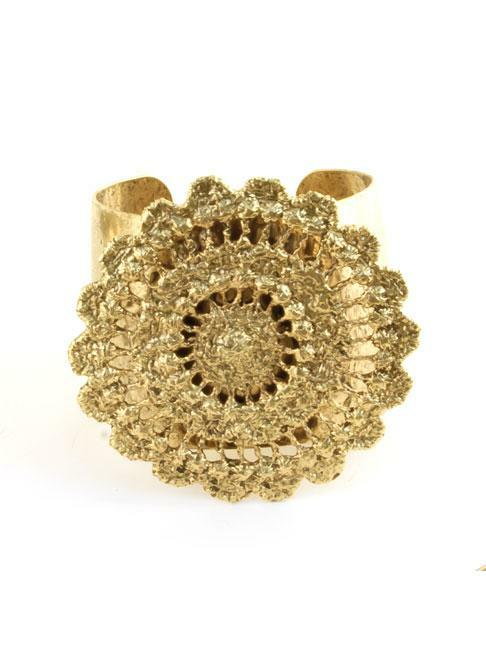 This cuff bracelet features a lace cast medallion. Simple but an attention getter. It has an antique finish over a bronze a lace cast.